SPB Shell changed the way we used our smartphones, Now we can enjoy user interfaces of other smart phones and enjoy New OS experience. SPB Shell can be customized fully as per your choice and it makes the experience easy. 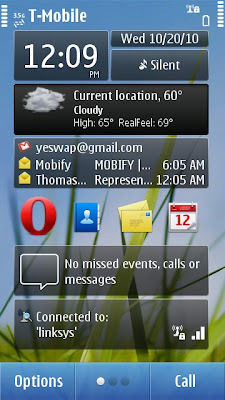 In this post I am sharing a new Skin for SPB Shell, which will make your User Interface similar to Symbian^3 OS as on Nokia N8. This is an awesome theme and Bringing a fresh new experience. So here are the Steps, Make sure you follow it carefully or else it won't work. Before following the below instructions, make sure that you've installed SPB Shell. Download SPB Shell from the above links. Step 1: Extract the Downloaded theme using WinRar. Step 6: Now Browse to the Restore folder and select the file and Restore settings. 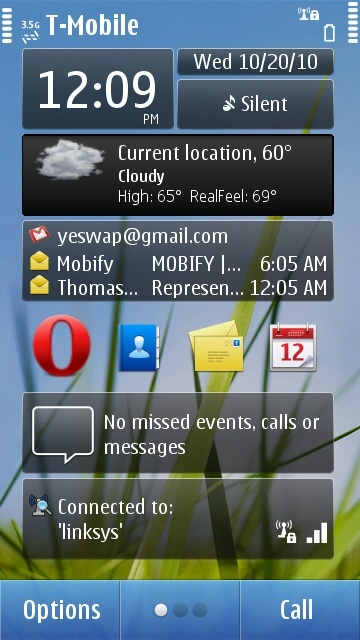 Step 7: Now let SPB Shell Restore settings and After Loading, You'll see Nokia N8 like menu on your device. If you are having any problems Installing this theme then just leave a comment below and I'll reply asap.